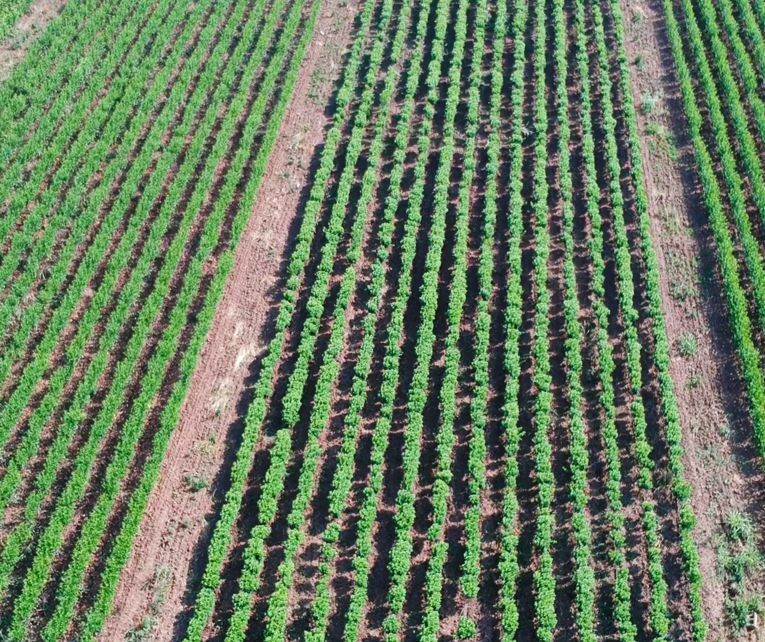 Economic Cooperative is producing fruit trees, rose plants and ornamental plants, together with seedlings and propagating material, offering certified and healthy fruit trees, berry plants, grapevine plants, rose plants on over 140 hectares of nurseries in Serbia and Bosnia. 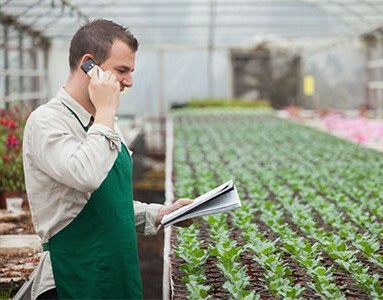 Economic Cooperative is an economical and coordinated chain of plant nurseries in Serbia and Bosnia, where production of all fruit trees, berry plants, rose plants, ornamental plants and propagating material is supervised from one place, therefore producing and exporting standardized quality with competitive prices for each planting product. We control the production on over 50 production sites and more than 140 hectares of land in Serbia, Bosnia, and other countries, producing over 3.500.000 plants in a form of fruit plants and ornamental plants nursery production chain and agricultural cooperative that is represented by Economic Cooperative Serbia with offices in Subotica. As a cooperative and a production chain, we have developed a long and stable relationship of sharing experience, information, and knowledge between our cooperative members that continues the tradition of fruit tree and berry plant production in our region for some of our members for over 50 years. In Economic Cooperative, you will find an organized and reliable partner for the wholesale supply of good quality plants that will satisfy you, be competitive in your market and will fulfill your buyer’s needs. Our annual production is more than 3.5 million of fruit trees [standard, mini fruit plants, and apple Knip tree / Knip-Boom / Tall Spindle tree system], the same amount of berry plants, and around 1 million rose plants on 140+ hectares [346+ acre] of land, providing high-quality plants for hobby and professional growers. 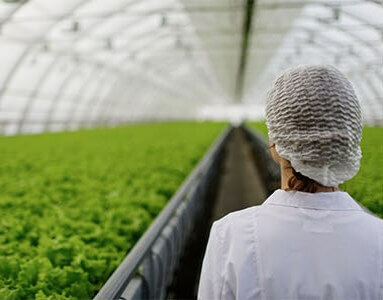 Economic Cooperative is organized as an agricultural production chain producing fruit plants, rose plants, ornamental plants, and propagating material. Under the close control and collaboration in every aspect of our production, we are able to produce high-quality, standardized and healthy fruit plants, rose plants, ornamental plants, and other plants. 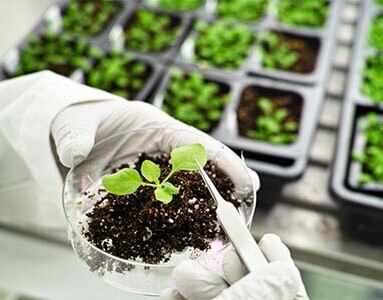 We are implementing the latest technology and know-how in plant growing always adapting to the best practices in nursery production and customer demands. Fruit trees are produced as either VF (virus free) or CAC (standard) quality of trees, controlled and analyzed by the Institute for plant health. Therefore our buyers receive carefully selected, safe and certified nursery material, produced by EU regulations, with Phyto, health and all other required certificates and documents. KNIP or “knip-boom” is one of the most productive and best-known apple tree training systems for modern, professional and industry grade apple orchards. Main advantages of apple KNIP trees are high yields in the first years with full yield reached much earlier than with standard apple trees, branch growth and tree shape can be done in a controlled manner, productivity and life of trees is enhanced. A KNIP apple tree is produced in a 3-year cycle as a 3-year-old rootstock with a 2-year-old grafted apple variety and 1-year-old side-branches. The recognizable cone shape of a “knip-boom” tree is formed as a main leader and multiple pre-formed lateral branches going outwards at a high angle, so that the bending and tying of branches is not necessary. This way, the height on which the lateral branches are formed can be controlled, lower branches usually being longest and get shorter going up the top. The lateral branches are at least 20 cm in length, and the tree itself is 1,5 up to 2,20 m in height. 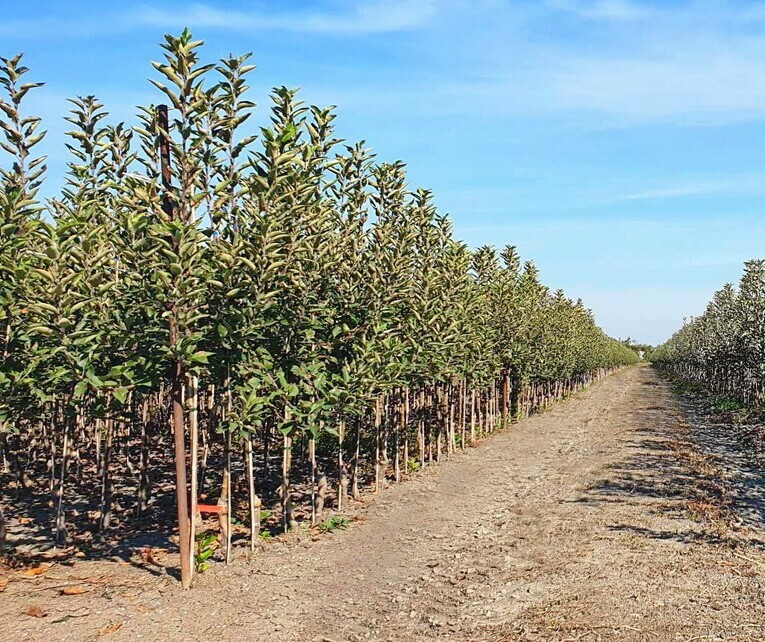 Our apple KNIP apple trees incorporate knowledge, technical skill, raw materials, labor force, substantial amount of time, and therefore our customers are able to purchase a high-value fruit tree product for a professional orchard. We at Economic Cooperative invite you to get in contact with us as we are open to discussing a long-term production and sale of KNIP apple trees according to your detailed specification, industry standards, and production goals. Our business at Economic Cooperative is wholesale of fruit trees, berry plants, rose plants, grapevine plants, ornamental plants, and various other plants. Our clients include commercial fruit producers, professional fruit growers [current and future], international wholesalers and distributors, retail trade chains, exporters, individual producers, and others in Serbia, European Union (EU), Russia, other Asian countries and other countries all around the world. We deliver to our customers' fruit trees, berry plants, rose plants and ornamental plants of the best quality, produced in a standardized environment, latest technology, and by EU regulations, providing all necessary documentation and certificates. All plants are produced as good quality planting material and can be either VF [Virus Free] or CAC [standard] quality of trees, all of them are healthy, controlled and analyzed couple of times during the year by the side of Institute for Plant Health and Environment [Under the regulation of The Ministry of Agriculture, Forestry and Water Economy of the Republic of Serbia and Plant Protection Directorate]. 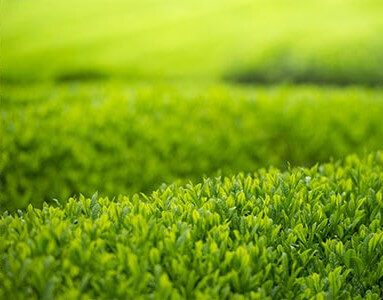 To assure the best quality and quantity you require, it is always better to let us know and inform us in advance about the details of your inquiry [varieties, types of rootstocks, the size of plants, number of branches, type of package and similar requests] and we can guarantee the delivery of plants according to your specifications. Our main motivation in Economic Cooperative is producing high-quality fruit trees, berry plants, rose plants and other plants, establishing a recognizable name in plants supply, and growing business relations with our partners all over the world. We invite you to visit us in our nurseries and assure yourself of the quality and standards we provide for our customers’ on the international market.